The experience of the technician plays a vital role in creating natural looking smiles with veneers. Our Smile Stylist dentists work with the top dental technicians in the country whose sole focus is fabricating beautiful, natural, translucent veneers custom designed of each patient. Feldspathic veneers are created by layering glass-based powder and liquid materials. 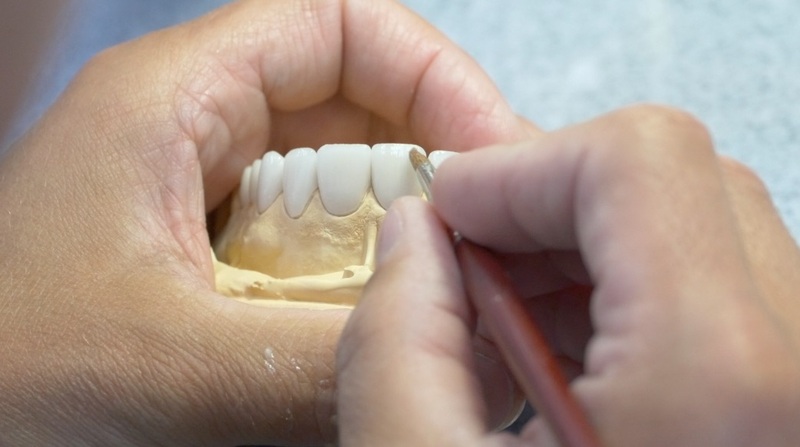 By using a layering and firing process, ceramists began developing veneers that could be made as optically similar to natural teeth as possible. The name Feldspathic, does not come from the fabrication technique as with other veneer types, but from the feldspar materials found in nature that are modified in various ways to be used as glass in dental restorations. When first introduced in the early 1980’s, they presented .5mm of thickness and thinned out to practically nothing at the gum line. Feldspathic veneers can be placed very conservatively because they can be layered so thin. Loss of tooth structure is not an issue, because they can be placed directly on the enamel of the tooth. They are made using refractory dies or foil techniques that create fits that are not quite as good as pressable veneers. A major concern with Feldspathic veneers is their strength. With a flexural strength of only 70MPa to 90MPa, they are not even half the strength of lithium disilicate pressed veneers. Feldspathic veneers are more susceptible to cracking or chipping. Dentists who chose to place Feldspathic veneers should be scholars of occlusion, managing bite forces, in the mouth, to minimize the potential problems related to their strength characteristics. 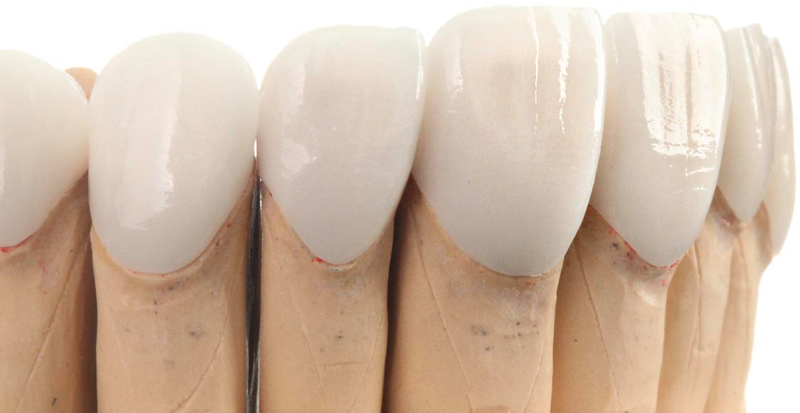 The payoff for using Feldspathic materials can be stunning results in the thinnest of veneers. 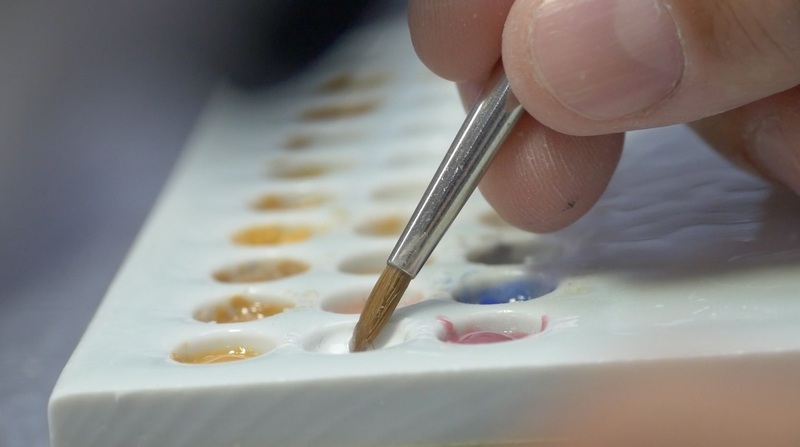 While almost a dying art, technicians have created ways to thin Pressable veneers to be as thin as Feldspathic veneers enabling dentists and patients to get the same thin results with stronger materials. Still one of the major benefits of Feldspathic veneers is that the ceramist builds the color throughout the veneer, completely customizing the shade and translucency of the veneers and is still considered one of the best ways to block out dark stains, like Tetracycline staining, on teeth with thinner materials.